DEiXTo feeds smartphones with legacy data! 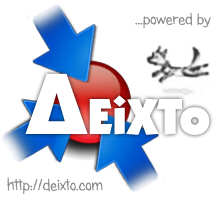 We have set up a page entitled “DEiXTo feeds Smartphones with Legacy Data” that demonstrates the posibility of using properly formated DEiXTo XML data feeds captured from legacy (and not only!) web apps, to feed users of modern networked devices. In this senario, a smartphone navigates to a properly set DEiXTo web service, that scrapes data from an news site and reformats them for proper display on the smartphone. No server side scripting is required thanks to an XSL transformation (the browser receives XML data and converts them into HTML by means of XSL). Read the details in this blog entry: Can DEiXTo power mobile apps? Yes, it can! This entry was posted in News and tagged legacy data, smartphones, XML, XSL. Bookmark the permalink.